This week has seemed monumental in some strange different ways. No, we didn’t master a cup or spoon. Neither boy said a first word. We didn’t stay clean throughout a whole meal. But, cups are being held on their own and meals have been fairly quiet and uneventful. Well-rested boys make for good mealtimes. I know I’ve said this before, but I speak again from experience. We’ve just gone through a period of some wacky waking in the mornings, super tired for morning naps, and some long periods trying to fall asleep in the afternoon. This can now visibly be attributed to teething. This has happened before and when it does, mealtimes tend to go a little haywire. I don’t have any new recipes to share from this week, but do have some notes on some foods the boys devoured. These were the staples in our meal list this week. Bananas, oatmeal, avocado, applesauce, cheerios, Graham crackers, and Annie’s Cheddar Bunnies were in the menu, too. Keeping it simple can be a good thing for everyone involved. I was also reminded that freezer is my friend and thawing some of the basics sure came in handy. Everything still seems to get a generally good reaction. Even the pork and fish were scarfed up without hesitation. I can definitely see some preferences, especially in the order they choose to eat things and which things require seconds, but we hardly have a plate that doesn’t get emptied. When you’re making something, make extra for the freezer. You’ll thank yourself later. 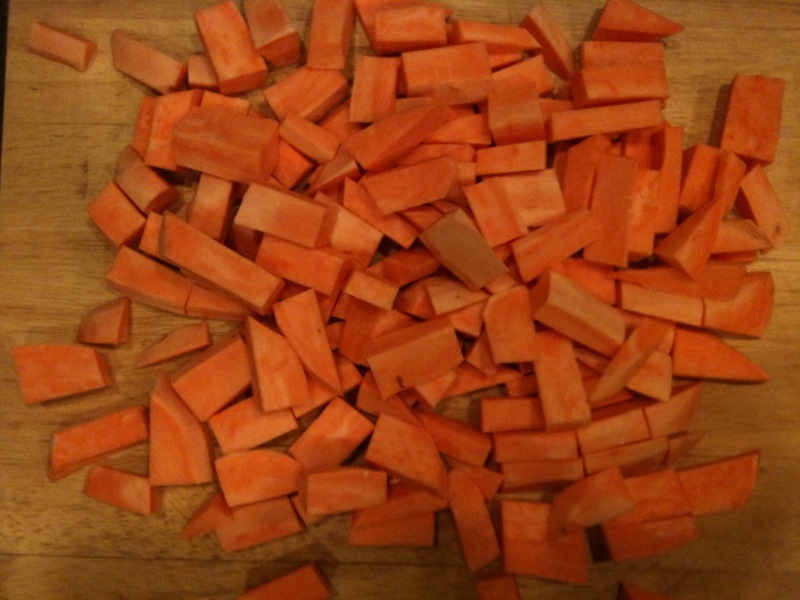 This week included lots of toddler-friendly, healthy finger foods. It is great to see my boys grow and so nice to be able to feed them many of the same things that I am eating, but I also like making things especially for them to have on-hand in the refrigerator and freezer. This just makes life much simpler. I made Baked Sweet Potato Fries this week and continued with some of our previous creations such as pancakes and spinach bites from the freezer. Mixing things with porridge is getting more and more as well. 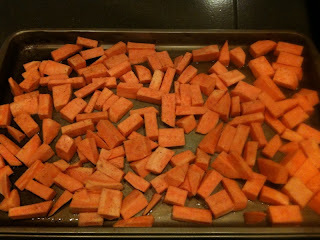 Baked Sweet Potato Fries These are another great way to get a mushy vegetable in tiny little fingers. Get creative with the seasoning…you can’t go wrong. Lightly coat baking sheet with olive oil and set aside. 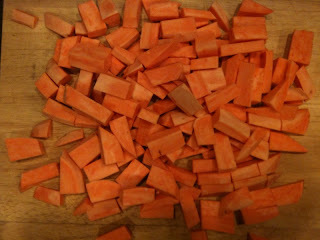 Scrub potatoes; cut lengthwise into quarters, then into wedges or the size pieces you desire. 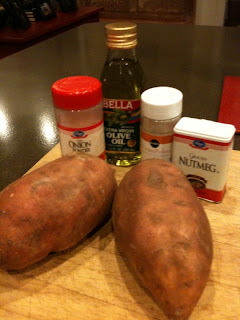 Mix melted butter and spices in a bowl and toss potatoes to coat. Arrange potatoes in a single layer in pan. Bake for 20-30 minutes or until brown and tender. I stored these in the refrigerator and reheated for a few lunches and dinners this week. Super Porridge Varieties We’ve been mixing up different combinations for the past few weeks and some things seem to be working out really well. Here are just a few ideas to get started. Think about what size you make your pieces. I ended up cutting mine after reheating, which was fine, but I could have just done that better in the beginning. The boys loved these. They have always loved sweet potatoes. The pancakes continue to be a big hit with just a little butter spread on top and they still enjoy the spinach bites as well. 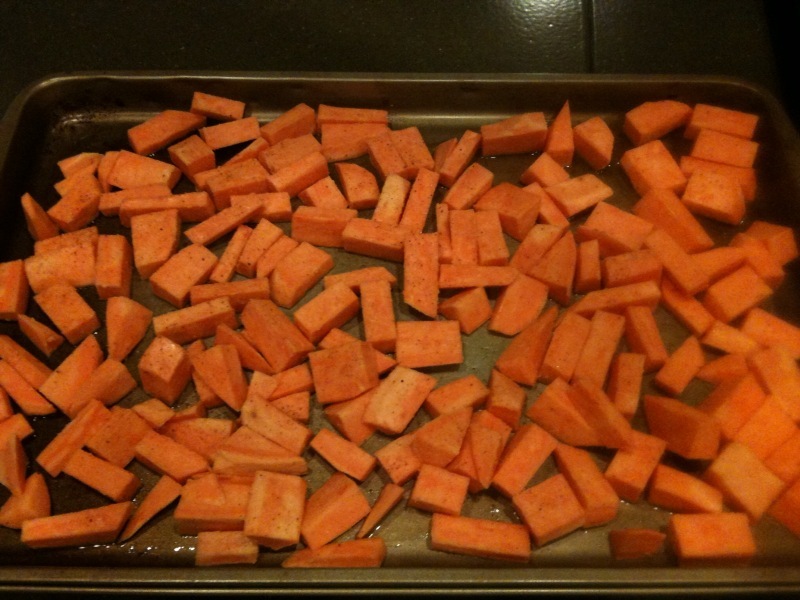 The baked sweet potato fries are another great addition to our healthy foods. Both the pancakes and spinach bites seemed to freeze, thaw, and reheat well. The Super Porridge is a great, great thing. I’m on the edge of my seat for the boys to be able to use spoons and feed it to themselves!